” Nothing has a stronger influence psychologically on their environment and especially on their children than the unlived life of the parent” C G. Jung. Today is the 1st day of the 12 Week The Artist’s Way Challenge to myself which I wrote about earlier this week. I started writing the morning pages two days before the actual date I was meant to start in order to avoid the dread associated with starting something new, to limit you know, the anxiety and high expectations. This morning however, I woke up tired even though I rose to the beep of my alarm at five, I still went back to sleep instead of sitting up to write. When I did eventually wake up at 7am, I am normally at work by this time, I debated whether I should still spend time writing morning pages; three pages of hand writing can be daunting when you don’t have time. I chose to write them anyway. 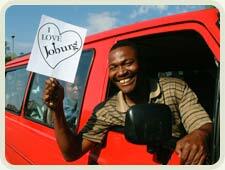 They went pretty fast and in no time I had crossed the road to hail a minibus-taxi, pointing my index finger up to the heavens signalling that I am going to Jozi. And what a surprise, when I climbed into the Taxi, to find a that the driver was at that very moment playing the late South African Pop Icon, Brenda Fassie’s – Zola Budd song! 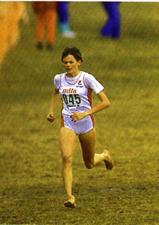 Zola Budd was a popular song in the late 80’s and spoke to almost every facet of South African society at the time, then in the 1980’s Apartheid South Africa. Sometimes I think that is part of the genius of being an Artist, the ability to consolidate divergent opinions and create something which resonates with everyone. I am slowly finding out (bear with me please those of you who have been down this road before) that being an artists is being able to commentary on contemporary events, reflect on the sociopolitical concerns of the nation while making people smile, have fun and forget about their misery even for just a moment. 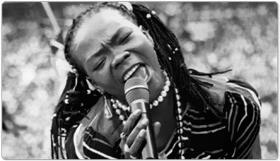 And Brenda Fassie was truly gifted in this way. Zola Budd (now Zola Pieterse) is a former (white) South African Olympic track and field at athlete, who, in less than three years broke the world record in women’s 5 thousand meters twice. She was the fastest woman in the world and a little peculiar because she also ran barefoot. In 1984, aged 17 she broke the women’s 5000 meters record with a time of 15:01.18.83. But because she ran in Apartheid South Africa (which was then excluded from international athletics) her time was excluded in the official world record. Ag shame, broken dreams. exclusion (I assume it was talk of the Nation at the time, I was three), Black South Africans found a way into the conversation by naming a new fleet or range of minibus taxi’s (public transport used mainly by black Africans in South Africa, they carry 14-16 passengers at a time) especially in Johannesburg as Zola Budd, because they were just as fast! In your Zola Budd, Zola Budd, Zola budd! I wanna be in your Zola Budd, Zola Budd, I want to be in your Zola Budd, Zola Budd, Zola Budd!! Two very simple lines and a melody that still makes me want to stand up and run, dance on the spot like she did in the video , with her index finger flaying in the air. The Apartheid Government could not ban her (music/song) like they did so many more of black revolutionary artists at the time. Brenda’s Music was classified as “Bubble Gum” music. You know what you do with bubble gum, you first chew it , play with it, make bubbles, then spit it out when its sugary flavour is no more. But I can still taste the sugar in Brenda Fassie’s music today. The song Zola Budd, which apart having a pop theme in the beginning ends with a soulful choir like hymn with her almost crying..slowly repeating Zola Budd.. Zoooola Budd, Zola Budd!! It echoed the pain and aspirations of both black and white South Africans at the height of the country’s state of emergency, her song spread and became popular like wildfire. No only put a shine on Brenda the artist our beloved star, but on the mini-bus taxis and even Zola Budd herself ( She has a song and taxi named after her). You can imagine then how Popular Brenda Fassie must have been to little black girls like me, growing up in the dusty streets of Soweto (because that’s where I’m from) and I’m sure in all the townships of this country. We all wanted to be Brenda when we grew up, even boys; we immitated her from head to toe, voice to actions. She popularized braids (we called them singles) with colourful beads ( like those worn by traditional healers sometimes) because that’s how she often wore her hair. She had bad teeth, but nobody cared, she was more than her tiny frame, bigger greater and larger. She was on the cutting edge of pop-culture in black South Africa. I used to enjoy performing impersonations of Brenda Fassie as a child. My favourite song of hers was “No, No No Senor” my favourite part of that songs was when she said “Please, Please don’t do this to me”,. No Senor is a song about a woman who is breaking up with her cheating boyfriend. I was dark and awkwardly beautiful like Brenda, so even as a child in the process of becoming aware of myself and what made me different from other humans I could see myself in her, I identified with her. Seeing her being out there, and boldly herself inspired me too, I had to believe in myself. That I am black, and it is beautiful. I think my mother took me to TV auditions once, because I believed I could be a Star, like Brenda Fassie. Maybe she did too. Later on in her career Brenda Fassie released another hit song called “Istraight Lendaba” This story is straight. I think it maybe have been a response to media accusations, if I am not mistaken, about her sexuality or sexual orientation and sexual activities, she was often rumored to keep multiple partners both male and female. I think she was mostly seeing women at the time of her untimely death. I think about that song and wonder what Mabrrr would have to say about the state of the nation today, when women are being raped and assaulted on a daily basis, others only because they are gay – in order to “correct” them. I wonder what she would think about the fact that our very own Runner and 800 meters record breaker, Caster Semenya, was almost stripped of her title and dreams of being an athlete because she was accused of being a man, running as a woman. The more I thought about Brenda Fassie the more I got to thinking about writing and how we document and celebrate our history, our heritage including those people whose lives had an impact on our own, people like Brenda Fassie. Especially this week as the worlds obsersered teh UNESCO World Heritage and Archive week. I have always wished I could be a performer, some kind of an artist or entertainer. But since art didn’t pay, my mother who was and still is my greatest supporter (and I)thought journalism would be best. So now I would like to be myself, today, and use what I have now my journalism education and experience to live out those childhood dreams wherever possible. So that when I have children one day, I can allow them to explore and accept who or why are sooner, so they are more balanced and happier adults. One of my colleagues who is celebrating 15 years as a journalist at the public broadcaster today came to my desk this morning and said to me “I wish I had the insight, 15 years ago, of using what I have been given to the best of my ability. I wish I had known then what I know now, that life is what you make of it now, here where you are, not somewhere in the future, I’m glad, I’m doing it now but I swear, I could have kicked myself” – she told me. She is in her 50’s…. What are you still waiting for…. This is beautiful. I was minding my own business, looking for Zola Budd lyrics when this article caught my attention. Your aspirations have inspired me and has got me thinking… what happened to musicians who had message in their music. Thank you Troy for stopping by. Much Appreciated. These are interesting questions indeed, I think the messages are there and they are for what it’s worth a reflection of our times, our current aspirations or what it is that shapes our lives today. I think Brenda’s legacy in this way has been underrated, and in many ways she was ahead of her time. Can we arrange a chat?! I am very interested in knowing more. I am working on a documentary on this very subject. Are you doing a documentary of Brenda Fassie? You can send me an email. jedi.ramalapa@gmail.com And we’ll see what can be arranged. Thank you Lwando for your kind words. I am so glad that this piece resonates with you. Brenda was a very talented artists who had an impact on many people. talented person. I wish you all the best with your cabaret show, hope it goes well. We should write more about her. Thank you Lungie. I’m glad you could find something useful in the piece. Thank you for your commitment to writing your heart out! Thank you Ncumisa for stopping by and letting me know that you enjoyed reading. I appreciate your time! Thank you so much for sharing this. I was born in 1989 but I still remember the song in my childhood and I cry everytime I play the song because the song reminds my father’s lover towards me when he was still fresh and young having only one child his son which is me. Thank you so much for sharing this. I was born in 1989 but I still remember the song in my childhood and I cry everytime I play the song because the song reminds me my father’s love towards me when he was still fresh and young having only one child his son which is me. Hey Odwa! Thank you so much for your comment. I am grateful that you were able to reconnect with your childhood and father in a meaningful way… there enough love for you in the world! sweet that you had that special time with you Dad!